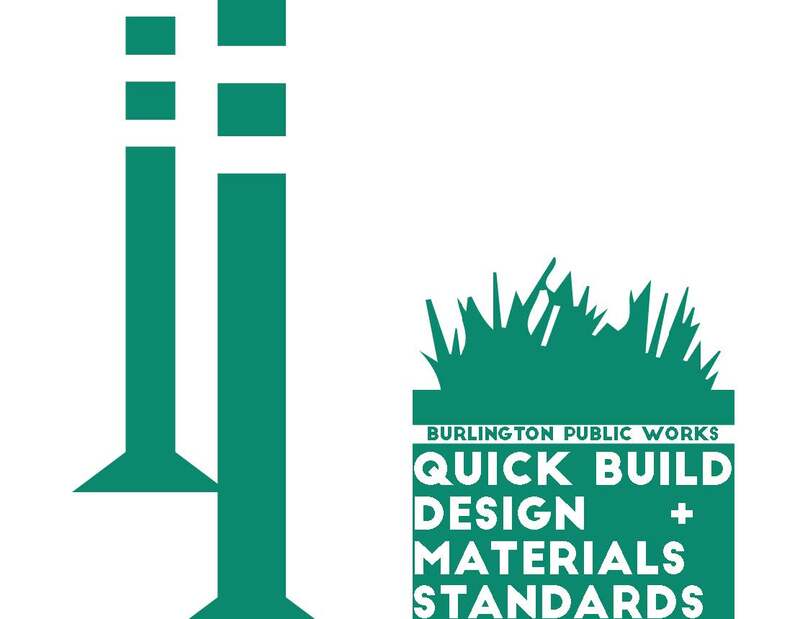 Street Plans was hired by the City of Burlington Department of Public Works to develop and implement a citywide “quick build” program, which provides an interim design “tactical” approach to delivering a range of priority street redesign projects outlined in the city’s recently approved planBTV Walk/ Bike Master Plan (also authored by Street Plans and Dubois & King). The branding materials were incorporated into all project outreach and promotion collateral with the expressed intent of educating the public to the program’s goals and soliciting feedback on actual projects after they’ve been installed. The guide has now become the go-to resource for the Department of Public Works as it implements a wide variety of Quick Build projects. 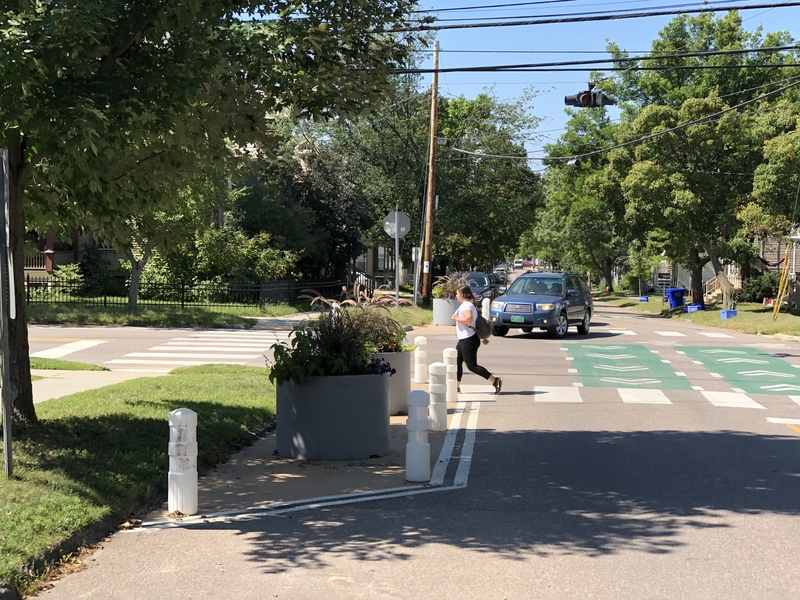 More specifically, the materials standards include surface and barrier element treatments for walking, cycling, and general traffic-calming projects. 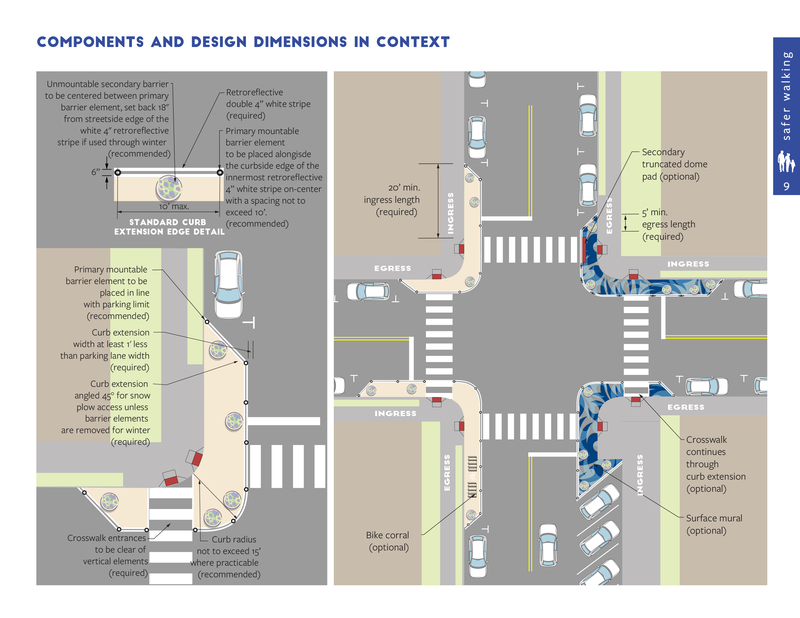 The standards provide a detailed list of application guidance so that the city may mix and match materials and design treatments to assess what works and what does not, with the goal of providing safety and accessibility benefits before investing in long-term capital infrastructure projects. 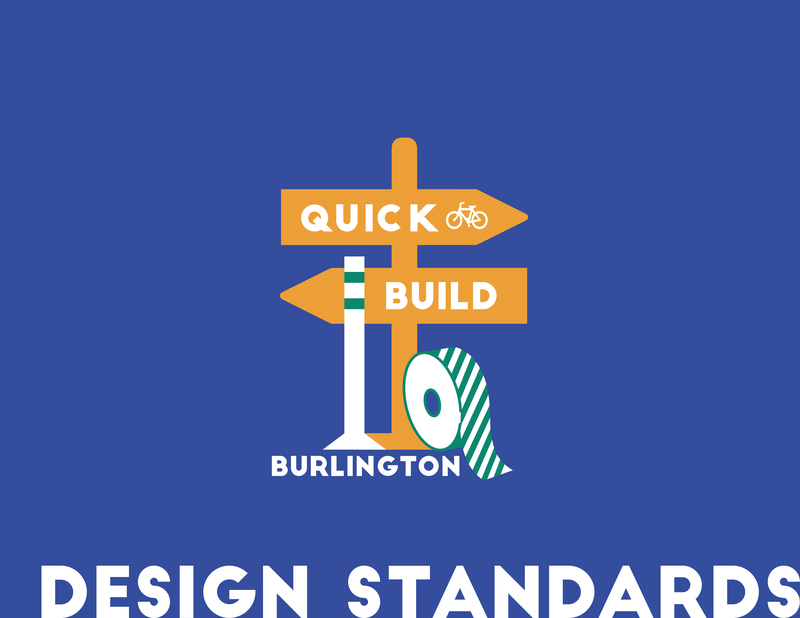 As of winter of 2019, the City of Burlington has used the Design + Materials Standards to install five pilot pedestrian, bicycle, and public space projects, most notably the 1.25-mile Old North End Neighborhood Greenway.